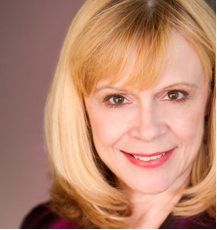 Suzanne Petri is a Jeff nominated actor, singer, producer, director. An ensemble member of American Blues Theater, she has produced, directed and appeared on dozens of Chicago stages including The Goodman Theatre, Steppenwolf Theatre, Chicago Dramatists, Victory Gardens and Northlight Theatre. She recently appeared in Hank Williams: Lost Highway with ABT and Gambit with Artemisia Theatre. With the Bernie Sahlins Players: Bertha the Sewing Machine Girl, Lysistrata and Under Milk Wood. The Chicago Tribune raved about her cabaret tribute to Marlene Dietrich at Millennium Park: "She Torched the Place." 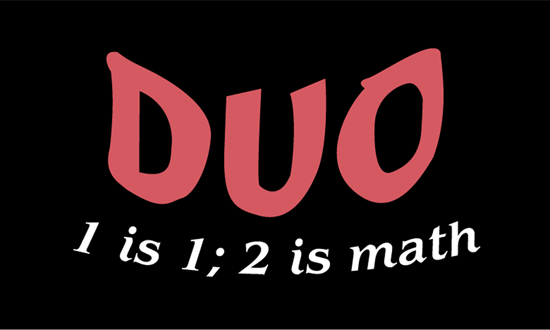 Suzanne and her husband Bob Breuler (SuzBo Entertainment) bring their highly acclaimed homage to Noël Coward, A Little Touch of Coward in the Night, to NYC in on June 21, 2014 and original musical Duo: 1 is One; 2 is Math to the Steppenwolf After Party on March 13th. She was honored with the After Dark Award for Outstanding Cabaret Artist, Gold Coast Award for Cabaret Excellence, and is President Emeritus and a founding member of the Chicago Cabaret Professionals. The Tribune raved about cabaret tribute to Marlene Dietrich at Millennium Park, "She torched the place." Her CD's, Das Grand Tour, A Marvelous Party and Marlene Muzik are available at www.suzannepetri.com and digitally online. Film and TV: Pool Week, Lac du Flambeau, Just Visiting, Milwaukee, Minnesota, Early Edition, Evil Has A Face. Bob Breuler is celebrating his 40th year as a member of Actors Equity Association. From his first role at Joe Papp's New York Public Theatre where he played Kress in David Rabe's The Basic Training of Pavlo Hummel to Mornings at Seven at Drury Lane-Water Tower, he has played over one hundred roles, including Big Daddy in Cat on a Hot Tin Roof; Moe in Riverview and Dean Strauss in Spinning Into Butter, at the Goodman. Bob is a member of the Steppenwolf acting ensemble where he has performed in some 40 roles over 23 years. Some favorites: Botvinnic in A Walk in the Woods also by Lee Blessing, Father Lux in Our Lady of 121st Street, Pa Joad in The Grapes of Wrath, Charlie "Blackie" Blackwell in John Olive's Killers which he recently directed at the Mary Archie Theatre. Favorite plays: Cherry Orchard, A Lesson Before Dying, The Time of Your Life, Mother Courage and Her Children, Uncle Vanya, The Infidel, and Molly Sweeney. Television credits: Prison Break, Early Edition, NYPD-Blue, The Untouchables, Angel Street and in made-for-TV movies such as Open Admissions, The Father Clements Story, and Keeper of the City with Lou Gossett Jr. Films include The Crucible, Trial by Jury, The Company, Love and Action in Chicago, Miles from Home, A Piece of Eden, and Suspended Animation. He recently performed at Millennium Park where he was in Studs Terkel's Will the Circle be Unbroken? One of his favorite roles was with the St. Paul Chamber Orchestra where he played The Devil in Stravinsky's The Soldier's Tale. On Broadway he has been in The Grapes of Wrath, The Song of Jacob Zulu, Carousel and Death of a Salesman. He is a recipient of the William and Eva Fox Fellowship Grant. 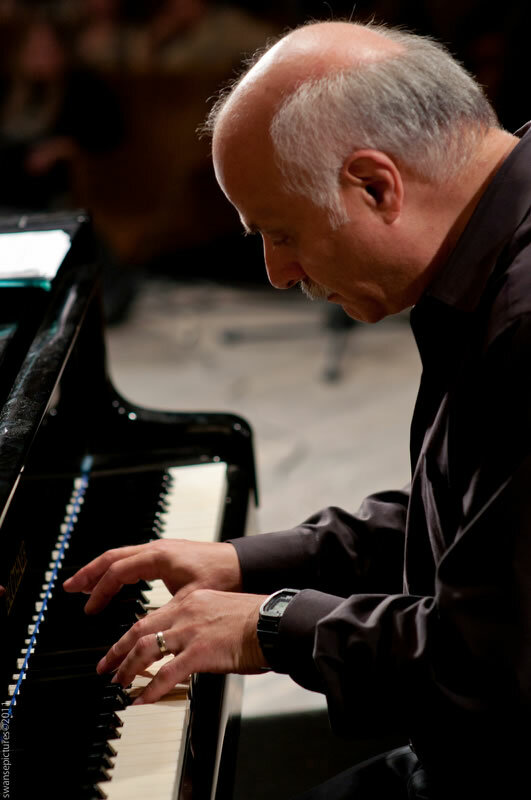 On the Chicago and Los Angeles music scenes for over 45 years, Pianist, Arranger, Composer, Conductor, Producer Bobby Schiff has led orchestras and bands, performed on piano and keyboards, directed, composed and arranged for and with the best. Mel Torme, Peggy Lee, Johnny Hartman, Ella Fitzgerald, Carmen McRae, Frank D'Rone, Barbara McNair, The Arbors and Bobby Rydell, are just a few of the premiere entertainers and musicians he's worked with in the U.S. and internationally. He played for Wayne Newton's overseas Thanksgiving 2001 USO tour, accompanying Ruth Pointer. A true music professional, Bobby has served for many years as a National Trustee and National Vice-President of the National Academy of Recording Arts and Sciences (The Grammy's). 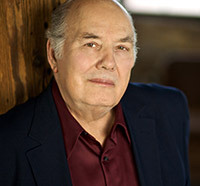 He served in the past as Vice President of the Association of Professional Orchestra Leaders. Two of his recent orchestral works include a full Christmas Concert at the Harris Theater of his arrangements of Christmas music for big band with strings and 3 symphonic orchestral arrangements of American classic popular songs sung by Wayne Messmer in a performance with the Park Ridge Symphony. Jim Cox (Bass) grew up in Champaign, Ill., where he attended the University of Illinois and earned a Bachelor's degree in Music Performance on the double bass. Upon graduating he toured with Earl "Fatha" Hines for three years, then settled in Chicago, where he has since worked full-time in the music industry. Jim has performed with numerous notable jazz artists, including Judy Roberts, Red Rodney, Randy Brecker, Louie Bellson, Rosemary Clooney, Eliane Elias and famed pianist Marian McPartland. Jim's extensive discography includes projects across a wide range of musical styles: jazz, bluegrass, klezmer, folk, and New Age. 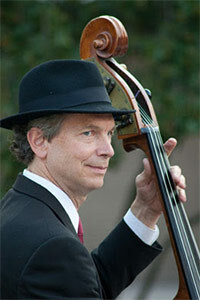 He teaches string bass at three Chicago area colleges as well. A featured guest on Marian McPartland's NPR program Piano Jazz, Elizabeth Doyle was the magnet for many years at Chicago's famed Pump Room. Recently at the Dank Haus presenting a World War II cabaret and at the North Lakeside Jazz Supper Club night in Not Just a Boys Club: Women's Contributions to the Great American Songbook, Doyle had three of her musicals on stage this past year: "Sleepy Hollow" with productions in Chicago and California, The White City presented at the Writers Bloc Festival and at IIT sponsored by the Mies Van der Rohe Society and the work-in-progress Duo. This past May, she was music-director and performer in a tribute to Blossom Dearie at Skokie Theatre. Other music direction projects include Summer On the Seine at Theater 773 and Marcie, the Marvelous Tree for Theatre-Hikes. Elizabeth has two CDs available, "Elizabeth Doyle" and "Time Flies." Playwright Bill C. Thomas says of Duo, "It's the most mainstream play with music I have written to date. It is sprinkled with the magic dust of honesty. It addresses the sheer work of long-term material commitment and the mathematics of faith required to make such marriages work." Thomas has written and produced 20 experimental plays during a 40 year time span. These include Home Movie, a multimedia theatrical event at the School of the Art Institute; Starstruck, a rock musical at a musicians' warehouse in Chicago; Burst!, a history of theatre event in Portland, Oregon, and Chairs, an audience-participation event, SoHo, New York. His theatrical events often combine live actors, live music, film, slides, sound-on-tape, and special lighting effects. He has produced 75 special events, including the Berghoff Street Festival, and similar festivals in Lakeview, Andersonville, and at Navy Pier. Thomas, a former journalist, previously was a publisher of poetry and art books guest-edited by such artists as Andy Warhol/Gerald Malanga; and Gary Snyder as well as producer of poetry chapbooks by James Broughton, Ruth Krauss, and Philip Whalen, among others.